My name is Lisa Quintero. Originally from Indianapolis, Indiana, I have been training dogs since I was a teenager. Using treats, I was rather successful in training my dogs throughout my young life, just as a hobby trainer, just for fun. Until one day, I got a terrier mix puppy that changed my life. This dog was nothing I had ever seen before, destructive from day one….I knew it was going to be a difficult journey. My first mistake with her is that I listened to my veterinarian. Yes, you just read that right. My veterinarian told me not to take her anywhere until fully vaccinated. Missing the important weeks of early socialization. At 18 weeks, she landed wrong on her back leg and tore a tendon. Leg had to be casted and I babied her immensely during this time. That only made matters worse. Well, we were planning on it anyway, so lets schedule it. He was wrong. So wrong. It was almost worse!! She was incredibly mouthy and had developed an agenda of taking over our house and yard. I started looking up training programs in our area. I started reading books, searching the internet for advice. All I found was treats, clickers, ignore the behavior, management protocols. Stuff I mostly knew already. My husband was at his wits end with our dog. He was tired of replacing broken things, paying for car paint repair. I was too, but I didn’t know how to help. I decided to change my career, after 15 years of doing what I knew but didn’t love, I decided to make a life altering decision. I quit my steady paying job of 8 years and enrolled into National K9’s Master Trainer program. I took my dog with me. What they taught me there was my dog didn’t respect me and she was under socialized as a pup, creating a fear of strangers and strange dogs. I had made so many mistakes with her!! In the 6 weeks we was there, me and my dog changed. We bonded. We actually started a relationship of leadership. She was corrected for behavior instead of redirected. This is not about science, it's about training your dog that resources are earned, not given. If you don’t show up for work, you don’t get paid. Simple, real life dog training. I have since completed many workshops and have mentored with other trainers to learn more valuable lessons. A few I have been to are Debby Kay’s super sniffer program, Chad Mackin's Dogmanship and Dog socialization courses. I have had the pleasure of spending time with Angela Monteith and Clarice Kashuba at Flying Colors in Ft. Wayne. 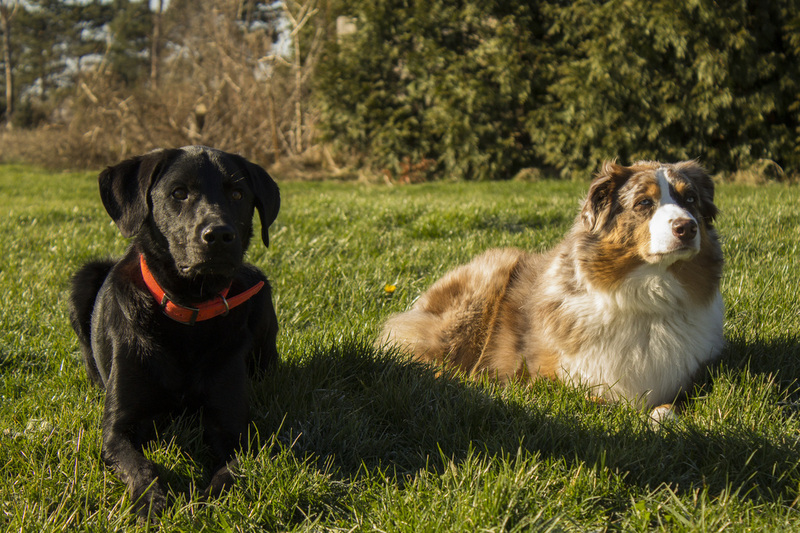 Real dog trainers work together because our ultimate goal is to help the dog. Please look through my programs and decide if you want me to help you and your dog form a lasting relationship. I am balanced…meaning I use all methods. I use treats, praise, toys, depending on what your dog is motivated by. I have used almost every piece of collar equipment out there, which does your dog need? My goal is to get your dog listening with verbal commands. I use leadership and structure with every dog that comes into my programs, then I instruct you how to implement those in your home and into the dogs lifestyle. You have real problems and I have real solutions. Seen other trainers without resolution? Don’t give up. All trainers are different, just like all dogs. Come see me, a trainer that finds your dog's motivation and works for you and your dog. Click below to learn more about my training programs. "Bullyhead Dog Obedience is incredible! Lisa’s way of training makes so much sense. She understands why dogs do what they do and, most importantly, how to change that behavior. She is firm but extremely kind and it is clear she loves the dogs and only wants them to become the happy, healthy and balanced pets they need to be to become members of the family." "Had 3 private lessons. The experience was great. My dog is so much calmer and well behaved. I got a lot more out of it than I expected. It was worth the money for the private lessons. The homework is very easy and Lisa does a great job explaining everything."